The old site had was lacking any user experience and this was mainly due to it not being optimised for different screen sizes. Tekcabin created a responsive site which now adapts to all devices allowing users on different screen sizes to view and book treatments. The old site looked very dated and did not meet the beauty salons vibrant purple brand. Tekcabin created a website design which was new, vibrant and met the beauty salons branding. The old website was hard to navigate, text on the page had no structure, menus were messy, buttons and links were not clear. One other issue HB Therapy had with their website was clients found it hard to book online. Tekcabin improved all these issues by focusing on the readability of the new site, improving the new websites background colors, texture and improved contrast. Tekcabin then ensured that the navigation was easy to use on all different types of screens. We also implemented a ‘BOOK NOW’ button on every page of the site allowing clients to make a treatment reservations easier. Tekcabin always builds it clients site within the best practices of search engines and HB Therapy site was no different. The old site did not have any meta descriptions, header tags, ALT tags and had no XML sitemap. The developers at Tekcabin implemented basic but important SEO rules. By doing an SEO audit on the site, Tekcabin was able to asses what pages and keywords on the site were already ranking. Once we had this information we were able to set up any redirects from the old site URLs to new pages to the new pages. This meant that any old pages which did have a positive ranking in search engines did not loose its position once the new site was live – This is an important factor to consider when updating or changing your website. HB Therapy had to previously rely on a developer to update their website. 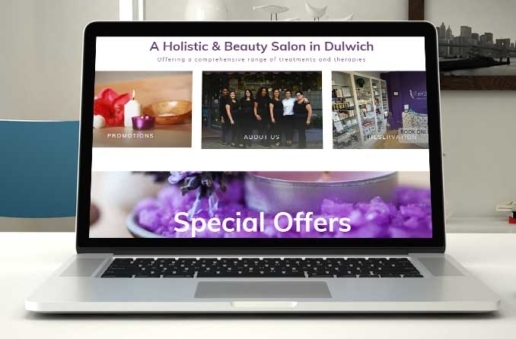 The new beauty salon site has an easy to use content management system which means that any team member at HB therapy can update the site, even if they are not web savvy. 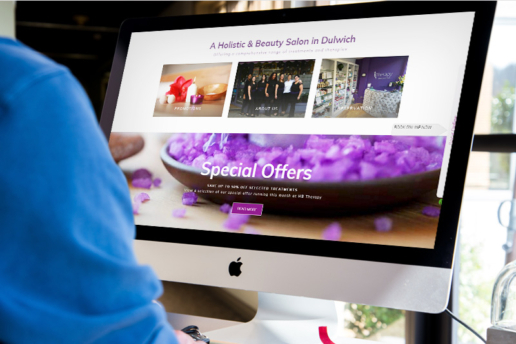 Do you need to update, improve or re-design your beauty salon site? Contact Tekcabin today for a free web site quote.